MONSTER® UC1400 SERIES GENERAL PURPOSE WHEEL CHOCKS for ground vehicles are manufactured with highly durable, lightweight polyurethane and are 3rd party tested, certified, and trusted by fleets globally. 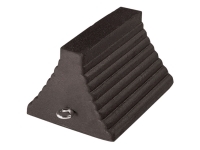 These chocks are ideal for use with over-the-road trucks, trailers, pickups, and utility vehicles. Rated for vehicles with tire sizes up to 32 in. (81.3 cm) diameter and gross vehicle operating weight up to 60,000 lbs. (27,215 kg). MONSTER® UC1700 SERIES GENERAL PURPOSE WHEEL CHOCKS for ground vehicles are manufactured with highly durable, lightweight polyurethane and are 3rd party tested, certified, and trusted by fleets globally. 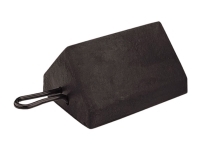 These chocks are ideal for use with over-the-road trucks, trailers, pickups, and utility vehicles. Rated for vehicles with tire sizes up to 35 in. (88.9 cm) diameter, and gross vehicle operating weight up to 30,000 lbs. (13,636 kg). UC1700 Wheel Chocks are available in singles or pairs (pairs of wheel chocks are attached with a 48″ long piece of 5/8″ Nylon rope between the chocks). MONSTER® UC1600 SERIES GENERAL PURPOSE WHEEL CHOCKS for ground vehicles are manufactured with highly durable, lightweight polyurethane and are 3rd party tested, certified, and trusted by fleets globally. These chocks are ideal for use with over-the-road trucks, trailers, pickups, and utility vehicles. Rated for vehicles with tire sizes up to 35 in. (88.9 cm) diameter, and gross vehicle operating weight up to 40,000 lbs. (18,182 kg). 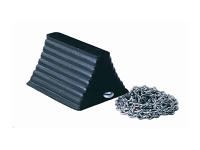 UC1600 Wheel Chocks are available in singles or pairs (pairs of wheel chocks are attached with a 48″ long piece of 5/8″ Nylon rope between the chocks). MONSTER® UC1500 SERIES GENERAL PURPOSE WHEEL CHOCKS for ground vehicles are manufactured with highly durable, lightweight polyurethane and are 3rd party tested, certified, and trusted by fleets globally. These chocks are ideal for use with over-the-road trucks, trailers, pickups, and utility vehicles. Rated for vehicles with tire sizes up to 35 in. (88.9 cm) diameter, and gross vehicle operating weight up to 60,000 lbs. (27,273 kg) for the UC1500-4.5, and up to 70,000 lbs. (31,818 kg) for the UC1500-6. 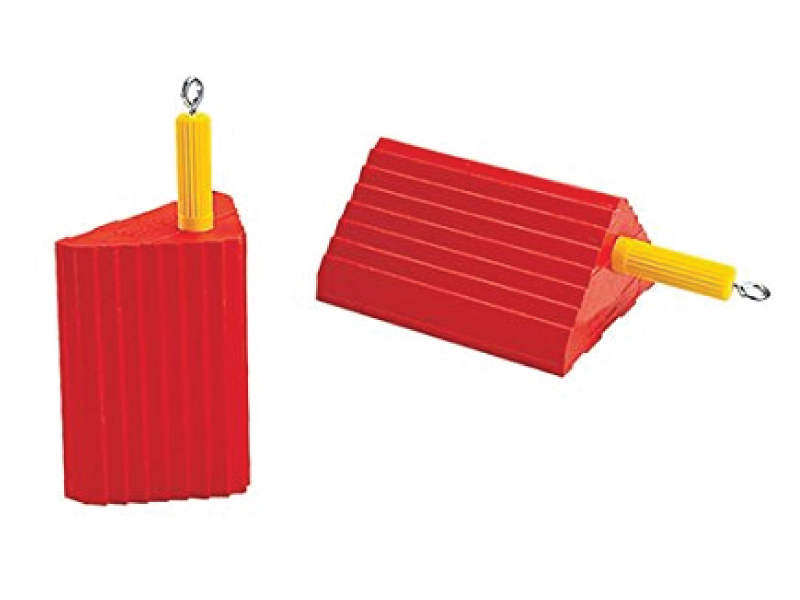 UC1500 Wheel Chocks are available in singles or pairs (pairs of wheel chocks are attached with a 48″ long piece of 5/8″ Nylon rope between the chocks). 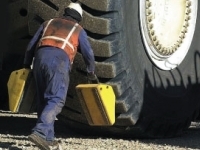 MONSTER® HEAVY DUTY UC1210 WHEEL CHOCKS for ground vehicles are manufactured with highly durable, lightweight polyurethane and they feature a larger base that makes them ideal for use with heavy equipment. UC1210 Wheel Chocks are rated for haul trucks with tire sizes up to 65 in. (165.1 cm) diameter and maximum rated payload is 70 tons.